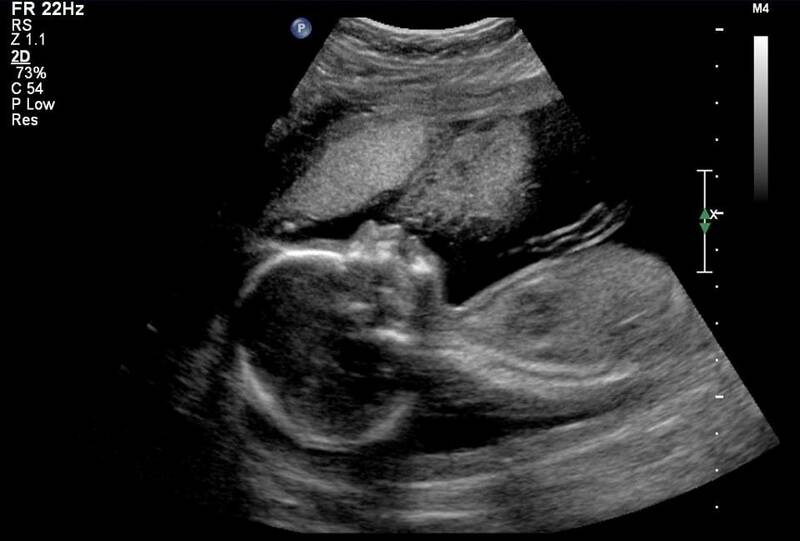 Well, the results of the anatomy scan will remain a mystery to me until Tuesday, when I go to see my gyno, but the verdict (albeit not a 100%, of course) is in: it’s a boy! I am happy. I sort of wanted a boy. I know boys. Boys are familiar. Timothy will have a best friend and playmate. We have everything a boy needs. I think my hubby’s family might be a bit sad – there very few girls on his side of the family. My parents’ comment was also something like “well, most important that the baby’s healthy” – which I also interpret as a bit of disappointment. I know how much they wanted a granddaughter (which my sis gave them almost 8 years ago) – but now they’ll have 3 grandsons and still only one granddaughter. But hey – this is my child. And I am happy. We already chose a name – still deciding on how to spell it (there are variations available… we like the French spelling). And I can now do the walls in their bedroom and bathroom – cover it with airplanes and firetrucks and such. And talk to Timothy about how he’s going to have a baby brother. “You’ll be heavily outnumbered now” – said my husband jokingly, hugging me as we were leaving the hospital. Another boy. In less than 5 months. Weird!!! The bay is KICKING! Well, kicking is not the right word, but I feel it every day doing tiny somersaults inside me. It’s a familiar and unfamiliar feeling at the same time – it reminds me of Timothy, but then I have much sharper memories of big Timothy stretching my belly every which way. I don’t really remember these tiny flutters (although now that I am feeling them on a daily basis, I am more sure than ever that what I felt at 12 weeks was the baby, and not a figment of my imagination). My c-section is booked, too – in early March. I was surprised they booked it only 4 days before my EDD. But then I was relieved, too. See, I felt very uncomfortable with the idea of evicting the baby before the baby is ready. I also think that the longer the baby stays in, the bigger the baby gets, the bigger their stomach gets, the more they can eat at a time – and the longer they can sleep at a time. That’s my theory. So I was worrying about evicting the baby before it’s time. But 4 days shouldn’t make much difference – and, well, if the baby decided it is time before then – so be it. It will still be a c-section, just an emergency one, right? Since I started taking liquid iron supplements, life has changed. I am alive, I am not in bed until 10:30 pm, I have energy to go to the playground with Timothy every day after daycare, for about 40 minutes before it’s dinner time… All in all, I feel great. I am showing more and more. The belly is very pronounced when I sit. You know how with a fat belly when you sit down it all kind of… folds? I hated that about my postpartum body 🙂 Well, now it most definitely sticks out and gets nice and round when I sit. Yesterday someone offered me their seat on the streetcar. The funny thing I still don’t fully understand I am expecting another baby. I still have this deja vu feeling, as if I am pregnant all over again with Timothy (even though the 19-month old Timothy is running around me in circles). I am half-expecting to have the same labour experience, same-looking baby, same way to spend the matleave… It’s weird. I have to prepare myself that this is a different baby. It might be very different, for all I know – not sleeping, being colicky, etc. I should prepare myself for that! All in all, this pregnancy – unlike the first one, seems to be moving soooo fast!